Why is China's Huawei Technologies controversial? Why is China's Huawei Technologies so controversial? The arrest in Canada of Meng Wanzhou, a top executive at China's Huawei Technologies and daughter of the founder and CEO, jolted the global business community today and raised fears that a truce in the US-China trade war could come to a swift end. Meng's arrest came at the behest of US authorities. It is connected to an investigation into alleged violations of US trade sanctions, a person familiar with the matter told Reuters. China's foreign ministry said neither the US nor Canada have explained reasons for the arrest. Huawei is the world's largest supplier of telecommunications network equipment and second-biggest maker of smartphones, with revenue of about $92 billion last year. Unlike other big Chinese technology firms, it does much of its business overseas and is a market leader in many countries across Europe, Asia and Africa. The company was founded in 1987 by former military officer Ren Zhengfei. It remains privately held and describes itself as employee-owned, though its ownership structure is unknown. It is based in the southern Chinese tech hub of Shenzhen and employs about 180,000 people. 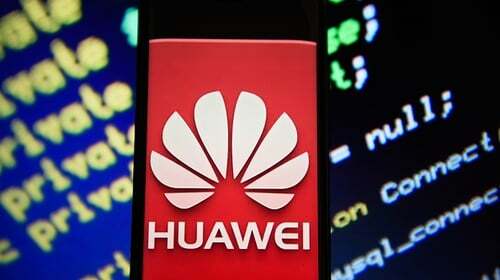 US intelligence agencies allege that Huawei is linked to China's government and that its equipment could contain "backdoors" for use by government spies. No evidence has been produced publicly and the firm has repeatedly denied the claims. A new law in China requiring any domestic firm to assist the government when asked has also stoked concern. The US government has taken a series of steps to block the firm from US markets, including banning government purchases of Huawei gear and denying government help to any carrier that uses Huawei equipment. Top carriers Verizon Communications and AT&T pulled out of deals to distribute Huawei smartphones earlier this year. Most countries, even close US allies such as Canada, Britain and Germany, have not made any moves against Huawei, arguing they have sufficient procedures to test equipment for security. But Australia and New Zealand recently banned Huawei from building 5G networks, and there are indications that other countries including Germany are revisiting the issue. US authorities have not disclosed circumstances surrounding Meng's arrest, but a person familiar with the matter told Reuters the arrest relates to violations of US trade sanctions. Reuters published an investigation almost six years ago about her and Huawei's ties to a company call Skycom that tried to sell Hewlett-Packard computer equipment to an Iranian mobile-phone operator, in contravention of those sanctions. Wasn't another Chinese firm also accused of Iran sanctions violations? Huawei's smaller rival ZTE pleaded guilty last year to conspiring to evade embargoes by selling US equipment to Iran. Earlier this year, the US Commerce Department said ZTE violated the settlement and barred it from buying any US components - a move that all but halted many ZTE operations. A new settlement was reached and the ban lifted at the behest of US President Donald Trump, a perceived concession to Chinese President Xi Jinping that surprised and angered others in the US government. Are these issues related to the US-China trade war? The sanctions investigations long preceded the trade war. But the timing of the arrest tangles the issues as it came just as Presidents Trump and Xi reached a temporary trade war truce. Financial markets turned negative on news of the arrest on fears it could scupper the truce. However, there is no evidence of it being a deliberate provocation by the US rather than just an awkward coincidence. A ban on US component purchases, such as the one temporarily imposed on ZTE, would be devastating, but there is no immediate reason to suggest that will happen. If the case prompts major European countries in particular to turn against the firm, that would have a long-term impact on its growth and influence. Still, Huawei's status as a kingpin of China's high-tech industry, at a time when the country is racing to catch up with the US in difficult areas such as chip development, means it will almost certainly remain a powerful force for years to come.